With “editing on”, there is a pen at each topic, please click it to add topic one by one. Use default section name: Check to use default section name according to the topic setting of your course like "Weekly format" or "Topics format". Section name: You can define your section name after unchecked "Use default section name" checkbox. Summary: You can give a short summary for this section. 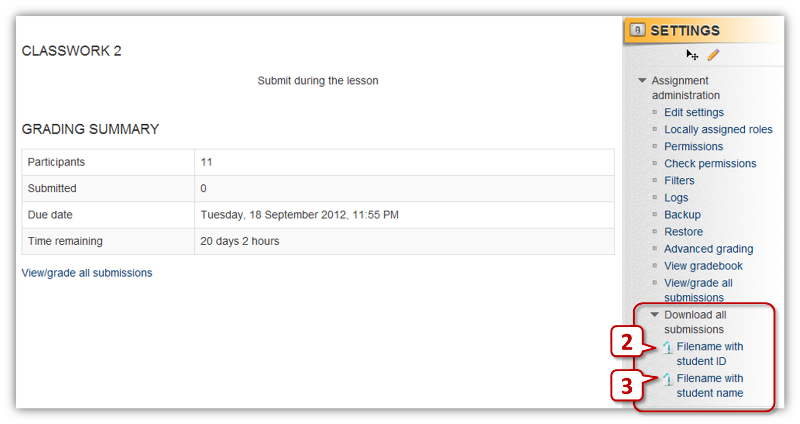 The assignment module allows teachers to collect work from students, review it and provide feedback including grades. To add an assignment, please select "Assignments"
There are various useful options for collecting students' assignments in different ways include setting due date, preventing late submission, submitting online text, allowing multiple file submission and allowing students to type a message alongside their submission. Assignment Name : You can write the name of assignment here. Description : You can write assignment requirement here. 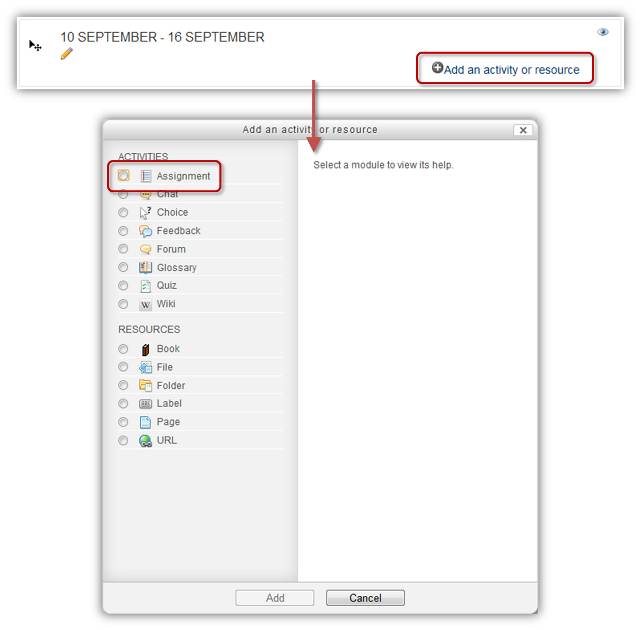 Available / Due Date : You can define timeline of the assignment or disable it if necessary. Always show description : Always display the description (can used as assignment instruction) to students. Prevent late submission : “Yes” will prevent last submission. Default setting is “No” and remark will be given to all late submitted assignments. Require students click submit button : All students should click submit button to confirm their submissions. It is suggested to keep default value (No). 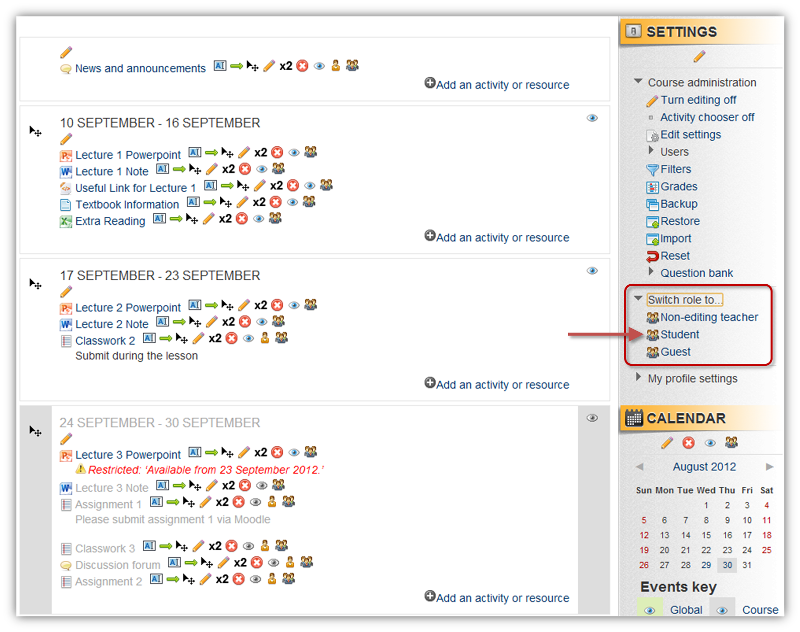 Notify graders about submissions : Notify teachers by email / popup message in Moodle when a student submit his assignment. 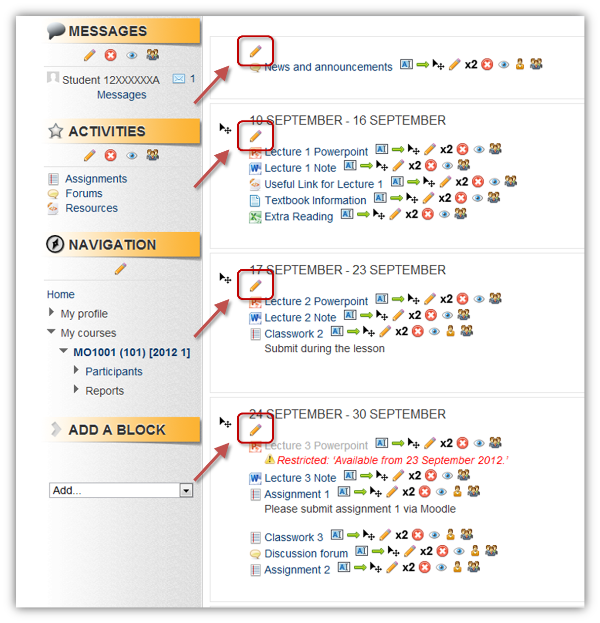 Notify graders about late submissions : Notify teachers by email / popup message in Moodle when a student submit his assignment LATE. Online text : Provide a online textbox for students to type some wordings as submission. It is especially useful when students are required to submit a instant work in-class. File submissions : Provide file submission functions. 7. Submissions comments : If “Yes’, students can give comments regarding their submissions and teachers can respond to their comments, like a private in-person message function. You can set the max score of an assignment. 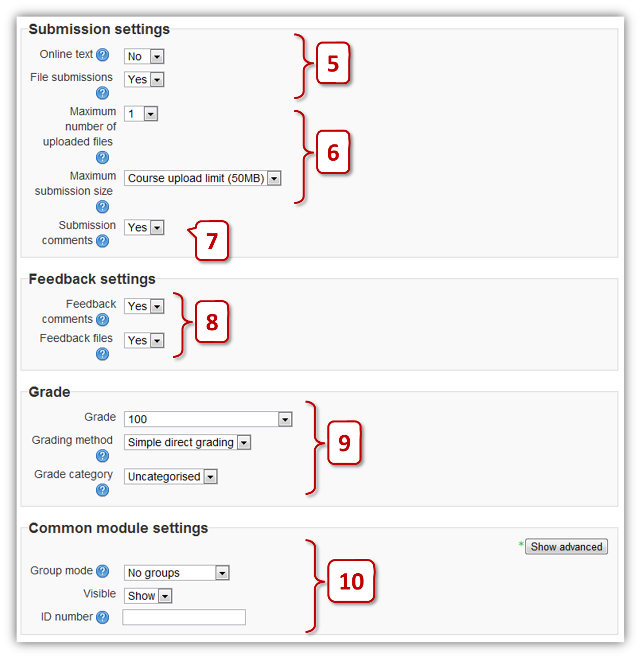 Moodle supports score only at this stage. 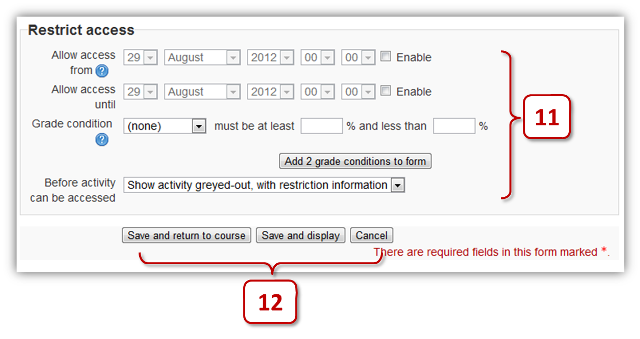 This setting controls the category in which this activity's grades are placed in the gradebook. 11. 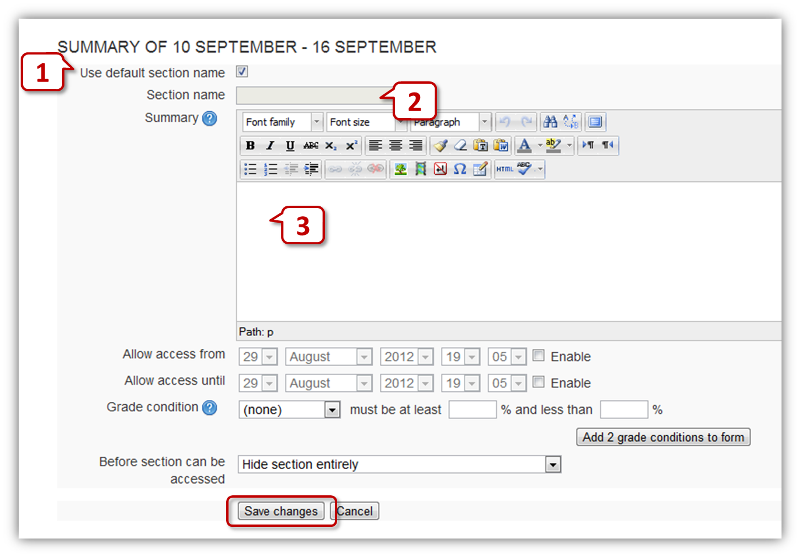 Restrict access : You can set an opening period to limit file accessing time. You may switch your role to “student” and see the effect of hiding. Students will see “Not available” if the material is hided. 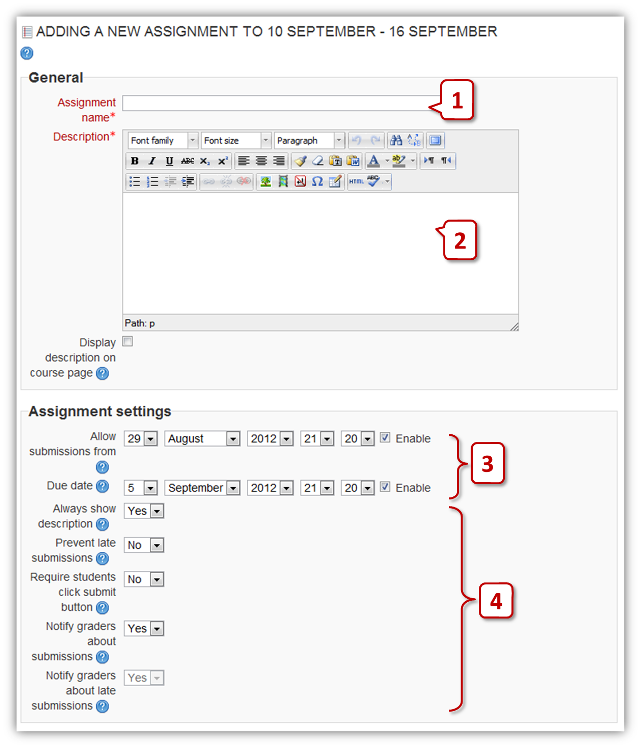 When you have set up the Moodle's assignment function for your students to submitted their assignment online, you can download all assignments at once. 2. Click "Filename with student ID" under "Download all submissions" to download all assignments in one zip file. In the zip files, all students' submitted files are adding their name at the beginning of each file. 3. Click "Student name with student ID" under "Download all submissions" to download all assignments in one zip file. In the zip files, all students' submitted files are adding their student number at the beginning of each file.